Things went along – if not well, than at least passably – for several weeks. That at least let him get a few more segments of Aden – and their Manses – done. The manse amplifies the essence of those within it, and makes it easier to channel – allowing them to access normally-unavailable abilities. The may affect everyone within the manse, those attuned to the manse, only the hearthstone bearer, or some other group if combined with control systems. The first incidence of this power provides those within the manse with a +1 to their effective essence and allows them to buy it up beyond their normal limits – although the extra essence, and any abilities dependent on it, only work within the manse. It also provides those within the manse the ability to use three additional charms – although the charms must be selected from among those to which the user normally has access (for Mortals, Martial Arts and Spirit Charms) and the user must fulfill all of the usual prerequisites – although charms bestowed by this power do count towards them. Unfortunately, this function is only partially cumulative; if you happen to (somehow) be exposed to it more than once, the second incidence only provides +3 charms, the third +2 charms, and the fourth and fifth +1 charm each – while further incidences provide no benefits at all. Once selected, the bonus charms are fixed until the user buys one of them “for real” – which frees up that slot for another charm. The first signs of inquiries appeared at school. That wasn’t too surprising. Otherwise he was mostly only findable at Dudael, and – to get in there – you presumably needed to do all those purification rituals. What is a world without seas? He was currently in the middle of his weapons training class – where everyone had suddenly gotten MUCH better and there were never any accidental injuries any more. In fact, everyone had gotten so much better that the instructors had moved on from students sparring with each other to the more advanced studies and customized programs. Hiranaya, for instance, was learning how to set his new weapon on fire with a charm and still wield it effectively. He was fighting in an area warded against fire. Of course, that allowed Charles – in between yawning (since he wasn’t getting anywhere NEAR enough sleep any longer) and practice – to go back to peacefully trying to figure out how to make the weapons better and nonlethal at the same time. It wasn’t easy when a lot of them were made out of Quintessence! Perhaps a spell that made the weapon immaterial on contact with flesh and armor, but still caused the same amount of pain and shock as it actually wounding you would cause? That was still mean, but – to be fair – no one tried to run you through with a sword to be nice. It might even work properly… And be fairly intimidating as well. He’d have to look in the archives. Surely SOMEONE had come up with a similar effect in the last 20,000 years. Unfortunately, eventually his turn at combat training came up. Sindri, who was having to work harder to keep pace with the students than ever before, approached after a bit. There were several setups for defensive training of course; there are options for parrying while blinded, against a child-sized automata, underwater, and against multiple opponents. Charles went for multiple. He had great reflexes, but he wasn’t really very skilled. He got rather resoundingly thumped on – hard enough to feel it even through his defenses! The blasted things had to be adjusting automatically, and had an AWFULLY high threshold… He didn’t remember the design specs showing them capable of that. Had someone else been improving on things on the sly? It wasn’t overly embarrassing – even Hiranaya had trouble with this one – but he was a little bruised and sore in various places afterwards! Sindri was happy to train with Charles; he preferred some meditative terrestrial forms – but he had to admit that the initial training exercises for those didn’t look like they’d EVER hurt anyone! (Which suited Charles just fine). Besides… the way the other kids were performing these days, he was rather glad of the armor that Charles had obtained for him… Some of them tended to get rather aggressive, and – as an instructor – he was obliged to hold back quite a bit! Which was still more than a bit worrisome really. The sudden improvement in the other students, and the armor was… impressive. Even in Yu-Shan it was impressive! If Charles had made the armor – and somehow been responsible for those improvements – they might have something beyond a prodigy on their hands! If not… someone with truly vast resources had to be backing the boy. They sparred until the end of class, with reasonable breaks. Sindri pressed him a bit, but the focus was clearly on defense-and-escape. Charles was quite willing to practice that! He was well aware that he might have to physically (ick!) defend himself sometimes. Near the end of class, however, he asked Charles to look at some of the staves from the training exercise; it was pretty obvious that some of them had cracked. Hmm… Mostly quintessential wood. One had a cracked white jade attachment on the end. That should be easy enough! Alchemy and Enchantment would easily cover sticking things back together! The weapons shimmered for an instant – and were once more whole. Sindri blinked, then quickly recovered. That had been… strange, and quite impressive. Certainly you could do that with the right charm – but the boy had… pulled on geomantic sources – possibly through some sort of link to a Manse – to power thaumaturgy, and had probably augmented it with several artifacts (and certainly with a very nice wand) – but he hadn’t used any personal power, or any actual active charms. His personal skill… was at least near the limits of a god-blooded’s potential, if not already at it. Prodigy and beyond in at least three thaumaturgic sciences. Likely capable of using Terrestrial Circle Sorcery and possibly with similar skills in the rest of the sciences. Sindri waved goodbye to Charles – and turned his attention to some of the other weapons the boy had been fiddling with. Perfected or transcendent, augmented with weird thaumaturgies, and wound about with geomancy that would let at least some of them resist terrestrial circle sorcerous countermagics. Not, perhaps, beyond the abilities of a god-blooded prodigy – but astounding work for a bunch of weapons that the boy had simply been fiddling with. Charles, of course, was simply so short of time that his design-experiments were leaking into class time a bit. Meanwhile, he had arrived at Advanced History. The days lecture was about the Seven Tigers Incident. That mess had occurred shortly after the Scarlet Empress had revealed herself to the world. Seven daimyos had refused to bow to what they saw as a false Shogun – and she had retaliated by unleashing the powers of the Blessed Isle’s Imperial Manse against their forces encampments. After that, the only power which stood against her was the city-state of Lookshy. Its magitech was too valuable for her to risk disintegrating in a mass of pure elemental fury. As a result, a detente arose between both nations’ Dragon-Blooded, much like NATO and the Eastern Bloc of the Cold War. Charles recalled that there had been something about the geomantic mess from that in the Libram… The Sword of Creation had badly disrupted the dragon lines in those areas; there were elemental imbalances for decades and some areas never fully recovered. Horrible things had happened to the poor soldiers too – burnt to ash, ground to dust, or turned into rotting compost – but that hadn’t concerned Devon much, although Charles fetl rather sorry for them. Of course, it was a long time ago – and even for him it was pretty abstract sorrow. Charles listened very attentively though! This was new material! He was learning a lot! A rather interesting coincidence there! Still, it wasn’t as if he had Devon’s memories – just a lot of notes. Hmm. Come to think of it, that was also a bit odd! His research into Exaltations said that there was usually something that popped up in the first few days of Exaltation – dreams, hallucinations, or weird partial memories; yet he didn’t experience any at all. Of course, he always had figured that Devon did some MAJOR tinkering around to get what he wanted to get. If anyone could do it, it would be him. Anyhow, on the way to his next class, Jun called him… Well, he was the headmaster! Off to see Jun then! Jun’s office was a tastefully-appointed place, if no match for a divine sanctum – but Gramps was with him – and looked happy to see Charles, as usual. Gramps, of course, got a hug! He hugged back a bit harder than he had been, but it was still a firm, friendly, hug. Oh good! Gramps was probably no longer thinking of him as “delicate and sickly” most likely! Gramps relaxes a bit; he’d been looking a bit tense and distant there, as if he’d been thinking about something. Jun had some doubts there – the boy hid it well, but SOMETHING was obviously stressing him; the fatigue-traces were obvious enough if you regularly dealt with children. Still, it was the boys grandfather and guardian, and the child was adaptable – and vacation was coming up. The god-blooded had long childhoods, and school was not THAT urgent for them. Gramps had his privacy-shielded aerial rickshaw along… The wards were very good! He might even have improved them since the last time he’d ridden in it! Charles wasn’t sure if this was good or bad – but Gramps obviously had some things on his mind, and was finally going to share something serious with him. They were some of the most technical documents on dragon lines he’d ever seen, further complicated by the interstellar distances… The diagrams were patterns of the interstellar ley lines, an intricate web of Essence connecting a thousand thousand planets, stars, and interstellar objects. The key indicated the Essence flows… There are all the types he knew, a tiny trickle of Infernal Essence tainting a bit of it, some Abyssal Essence – and something else that Richof had marked “Unknown.” The report was mostly focused on that “Unknown.” It appeared to be at least as finicky and mercurial as Lunar Essence – and further testing had been difficult. Whatever it was, if it was prodded too hard, it turned into Sidereal Essence. It’s flows were strongest in areas where there were few to no stars. Hm… Nocturnal Essence? Had Gramps heard about those exaltations? Oh good grief! Had Charles taken that as an instruction to find a way to carry manses around? And done it? 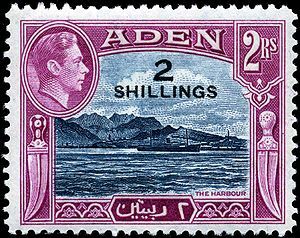 Once they were stopped, Charles simply opened a door into Aden. He’d been planning on creating a Nocturnal manse anyway, so he’d put such a demesne deep in a cave. No time like the present! That was genuinely impressive. The boy had been constructing… a private pocket realm? No, wait, that wouldn’t be something you could carry around. For that it had to be… a part of him? At least that would explain the aura of friendly welcome pouring out of the gate.. A WORLD-BODY?!?! Even if a small one? It was an absolutely irrelevant thought – but it was no wonder that the boy was tired! I can see the train of thought now. Lesser Exalts were “discovered” by Charles, and all those students that are training in the same classes are suddenly jumping up in power without exalting, and then the discovery of the his world-body by his grandfather. It won’t be long before they make the assumption that Lesser Exalt = Akuma of Aden. They very well might – although, at the moment, Charles and/or Lytek can actually show them some “Lesser Exaltations” – which are simply a selection of booster-artifacts in a soul-sheathe. Those are nothing like a genuine exaltation of course – but they’re a VERY good package for a god-blooded kid to acquire. True, but remember how the cauldron turned all his former companions into human/raksha hybrids and only he escaped? I’m just saying that it’s likely that his grandfather will quite soon come to the conclusion that he DIDNT escape unscathed, and that he was turned or is turning into a primordial. That, and teacup fate ninjas are likely going to find out about an unknown gateway appearing in Yu-Shan, and THAT is going to cause some major rukus. Expect a Fetich-hunt in the ruture. Oh yes – although, at this point, the Cauldron-Born are mostly a mystery even to Charles and Kikko, much less to those getting secondhand reports. Using “I’m a Primordial!” as a cover certainly does have implications that Charles hasn’t really thought through though. He really must learn to plan more than a few months ahead – if he survives long enough. It is quite possible that Charles’s grandfather (whatever HE is) might worry about him turning into a primordial – but at least he can just ask Lytek about it. It’s all those other potential investigators who should worry him. He is shielding and hiding his gateways of course – but there are plenty of unofficial gates in and out of Yu-Shan anyway. (thus this particular article; https://ruscumag.wordpress.com/2011/05/30/exalted-storming-the-gates-of-yu-shan/ ). Still a possible problem of course – but I suspect that the attempts to investigate him will lead to trouble a lot sooner. Oh, thank you for the interest by the way! And for the thoughts on making more trouble for Charles (and a few other PC’s in the setting).